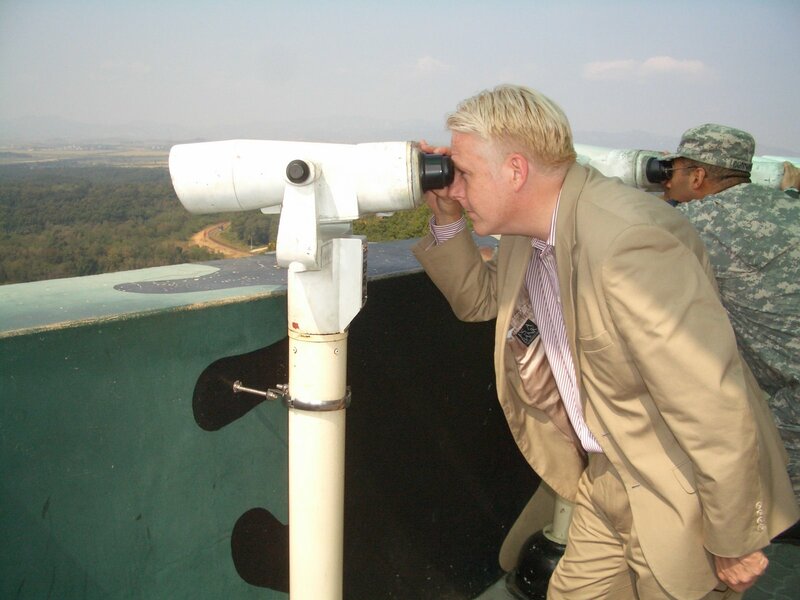 I live here in South Korea and have been on DMZ tours twice, and I know that the MP behind you is NOT North Korean. 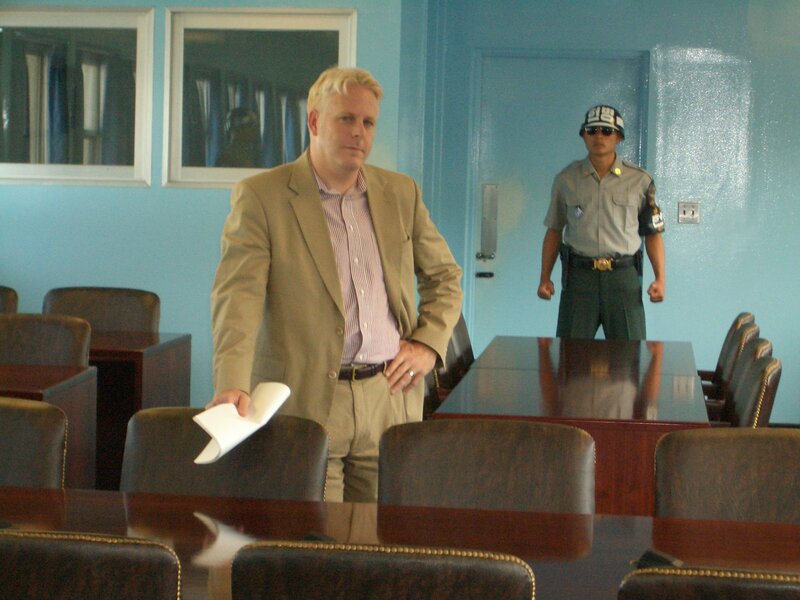 That’s the South Korean soldier who comes in the meeting room with you to make sure no idiots go for the North side door. He’s not “breathing down your neck”, he’s protecting you. Get your facts right! Jonah, I stand corrected – thanks (made the change). I know that I certainly felt the need for protection, I kept recalling the axe-murder incident of 1976 http://en.wikipedia.org/wiki/Axe_Murder_Incident. Great post. I’d add Alexandre Mansourov’s (2011) North Korea on the Cusp of Digital Transformation http://bit.ly/tVkqWm to your kitbag on the DPRK IT and the “Cyber Angle.” The 57 page paper deals with the infrastructure transformations that will definitely have an effect on North Korea’s digital future. Thank you Charlie, looks like a good read, I appreciate the recommendation. Lewis, this is one of the best descriptions of the current thrombosis taking place in North Korea and is the ususal upheavel that takes place when dictators replace one another, even a “friendly” take-over if that were even possible. Thanks for the good report and may I say, thanks for helping us know very little about it understand with at least a modicum of clarity what might be taking place over there. In the comment above on the fourth line I should have said, ” thanks for helping us “who” know very little about it………….